Juzinha started in Pé Descalço in 2004 as an 8 year old child. She basically grew up in Pé Descalço, finding it a fun and cool place to be, and also a place that transformed her life in many ways. In spite of her height Juzinha was always very curious and dedicated in learning the steps, following her partners and participating in exams. In Pé Descalço she found, during these 13 years, friendship, romance and opportunities. 3 years ago the whole world was seeing her on her vídeo with more then 45 millions of views on Youtube. That made her become a reference to many people in the forró world. To Juzinha dancing is a remedy for the heart, body and soul. It is just the perfect combination for her life. Juzinha also dances and teaches samba and zouk. In her classes, she likes to encourage girls and boys to dance comfortably and soft, always trying to reach their limits and playing with all the possibilities that they have. Dancer, teacher and choreographer of ballroom dances, has as her main dance Forró, she developed along her nine years of study and dance with Fábio Reis an irreverent and charming way of dance and teach forró. She has won the Brazilian Forró Championship, awards in many national and international festivals, traveled to several countries in South America and Europe, has appeard in many TV shows, dance congresses throughout Brazil and her last conquer was as best Forró teacher of Brazil in 2015 and 2016 (by Baila Mundo). 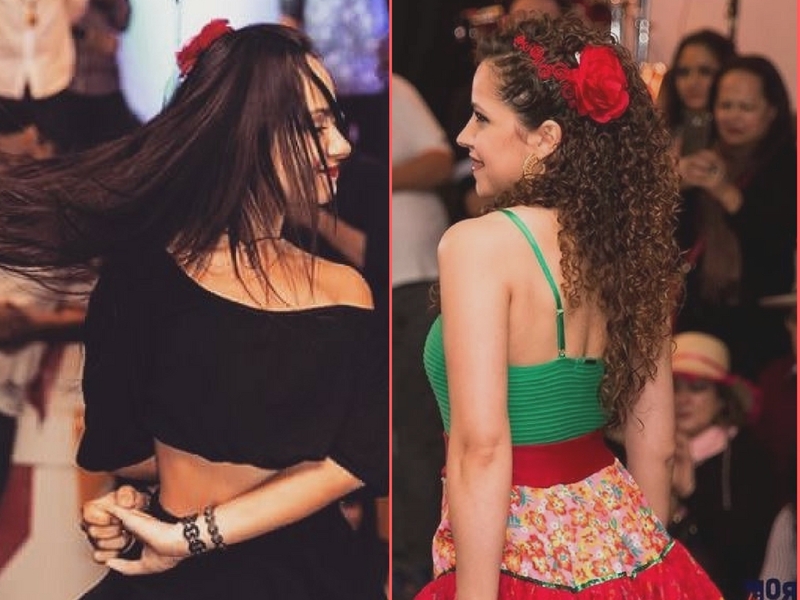 Her research in ballroom dances and brazilian folk dances led her to develop a multicultural forró dance, without prejudice, because in her opinion Forró is the dance that most express the wiggle and the charme of brazilian women. She also believes and is investing on the developement of the follower 's role on dance. Now she is living in Lyon and is helping to develop even more the forró scene with the association "Forró em Lyon" as their teacher. Especialidades de Aula no Festival (em inglês): We are going to dive deeper into the follower's world, working on technics, understanding our body, our movements and also how to mix dance and technique and be able to express more ourself.